More governments are following the lead of Russia and China by manipulating social media and suppressing dissent online in a grave threat to democracy, a human rights watchdog said on Tuesday. A study of internet freedom in 65 countries found 30 governments are deploying some form of manipulation to distort online information, up from 23 the previous year. These efforts included paid commentators, trolls, "bots"—the name given to automated accounts—false news sites and propaganda outlets, according to the 2017 "Freedom on the Net" report by human rights group Freedom House. 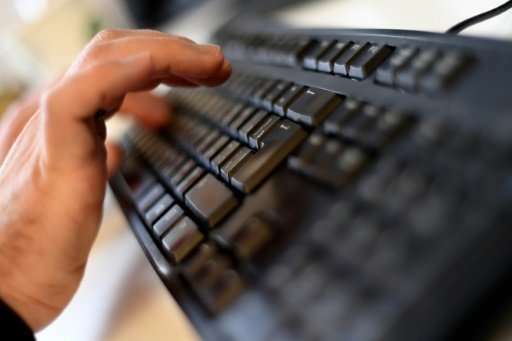 The report said online manipulation and disinformation tactics played an important role in elections in at least 18 countries over the past year, including the United States. "The use of paid commentators and political bots to spread government propaganda was pioneered by China and Russia but has now gone global," said Michael Abramowitz, president of Freedom House. "The effects of these rapidly spreading techniques on democracy and civic activism are potentially devastating." Sanja Kelly, director of the Freedom on the Net project, explained such manipulation is often hard to detect, and "more difficult to combat than other types of censorship, such as website blocking." The organization said 2017 marked a seventh consecutive year of overall decline in internet freedom, as a result of these and other efforts to filter and censor information online. Freedom House said China was the world's worst abuser of internet freedom for a third straight year, due to stepped-up online censorship, a new law cracking down on anonymity online and the imprisonment of dissidents using the web. Other countries also increased their efforts to censor and manipulate information, the report said. This included a "keyboard army" of people employed and paid $10 a day by the Philippine government to amplify the impression of widespread support of a brutal drugs crackdown, and Turkey's use of an estimated 6,000 people to counter government opponents on social media. Meanwhile, as Russia sought to spread disinformation to influence elections in the US and Europe, the Kremlin also tightened its internal controls, the report said. Bloggers who attract more than 3,000 daily visitors must register their personal details with the Russian government and abide by the law regulating mass media—while search engines and news aggregators are banned from including stories from unregistered outlets. The study also found governments in at least 14 countries restricted internet freedom in a bid to address content manipulation. In one such example, Ukraine blocked Russia-based services, including the country's most widely used social network and search engine, in an effort to crack down on pro-Russian propaganda. "When trying to combat online manipulation from abroad, it is important for countries not to overreach," Kelly said. "The solution to manipulation and disinformation lies not in censoring websites but in teaching citizens how to detect fake news and commentary. Democracies should ensure that the source of political advertising online is at least as transparent online as it is offline." Freedom House expressed concern over growing restrictions on VPNs—virtual private networks which allow circumvention of censors—which are now in place in 14 countries. It said internet freedom also took a hit in United States over the past year. "While the online environment in the United States remained vibrant and diverse, the prevalence of disinformation and hyperpartisan content had a significant impact," the report said. "Journalists who challenge Donald Trump's positions have faced egregious online harassment."